Retailers, across the spectrum, are pushing their supply chain to become more efficient and squeeze out every ounce of efficiency and speed. They are able to play with their costs and offer variety of deals to attract buyers. Choice of product, payment options, customer service and ease of delivery are primary differentiators that many of the e-commerce websites use. The last one, shipping, has high-impact potential on customer satisfaction. How soon can you get your merchandise to the customer, after he has confirmed it, and spend less and less money on doing so? I.e. Can you give instant gratification to your customer, for free? The question often revolves around providing either a quick shipment which has higher cost or a free shipment which while has lower costs, but translates into longer time before your merchandise reaches your customer. Long delay leaves a lot of room for your customer to cancel the order. Let us evaluate the pros and cons of both. This is by far one the most popular service to attract and retain customer. After the product price, shipping charges are the second most popular thing that customers look at. Depending on the shipping requirements of your product, the shipping charges might vary. it means that, usually, the customers won’t come to know of the additional charges until the very last step of the order placement. Customers don’t like that. Free shipping ensures there are no surprises (cost wise) throughout the buying process, for the customers. During slow business periods, free shipping can incentivize customers to make a purchase at your store and help you move the inventory. This could be used as marketing strategy to lure the customers away from the competition and earn profit from them, during the high season. On the other hand, you need to account for shipping charges, somewhere. You can increase the base price of the product to include shipping charges. But customers can compare the product prices at other sites and see through it. Unless the product you are offering is unique and cannot be obtained at other stores, this strategy can fail. Not only that, it can earn you bad reputation. However, if you simply absorb the shipping charges without increasing your product price, it is a true value proposition for your customers. But this will mean an increase in your operating cost and will reduce your profits. To reduce your operating costs, you will choose a shipping vendor with lowest charges. This will usually mean longer delivery times, for your product to reach your customer. This is not a good situation, especially when a customer can simply log in and cancel his order. Even if he doesn’t cancel, his satisfaction level would be certainly lower when he gets his product after 2 weeks as against getting it after 2 days. Many times, customers need their product to be delivered quickly. This could be for a special event, such as when your product is sent as a present to someone, during festivals, when delivery before exact date is essential, or during other situations. You want to fulfil this urgent need of the customers before the need for quick delivery itself vanishes. There is no point delivering a Christmas present after Christmas or the printer refill cartridge, after the customer’s meeting. Here the premium is on the speed of delivery and not the cost of delivery. Fast shipping comes at a premium and at an extra cost. The question here is, who pays for this high cost of fast delivery service? If you keep it free for your customers and bear it yourself, your operating costs will increase drastically and your profits would go down. With proper marketing, you will get more customers. This should translate into more orders and inventory moving fast. Your profits percentage may be low, but the overall return on investment will be higher. If you offer this around peak season, ensure that you have enough inventory to fulfill the expected large volume of orders. Nothing breaks your reputation, like delayed orders, especially if you promised fast delivery. You could ask your customers to pay for shipping cost for fast delivery. There is a large demographic out there who is ready to pay extra to receive its orders, quickly. However, you should be very clear and transparent about the extra charges, throughout the buying process. You need to be creative about the way you present the value proposition of fast shipping and the additional cost that your customer would be incurring. What is most important is that you need to ensure that your customers get their products on time, as promised. When you wish to reduce the total price for the customer. If there is no hurry, there is no need to incur extra changes. Having only the high cost shipping option, can push customers away from you, during slow periods. This will slow your inventory cycle even further. There isn’t a single model that is suitable for all businesses, or for all products, at all times. The best model for your business strategy could be different from the standard delivery model of your industry (or product category). What works for you could be as simple as sticking to fast and paid shipping model, and investing on marketing and customer service to attract and retain the customers. 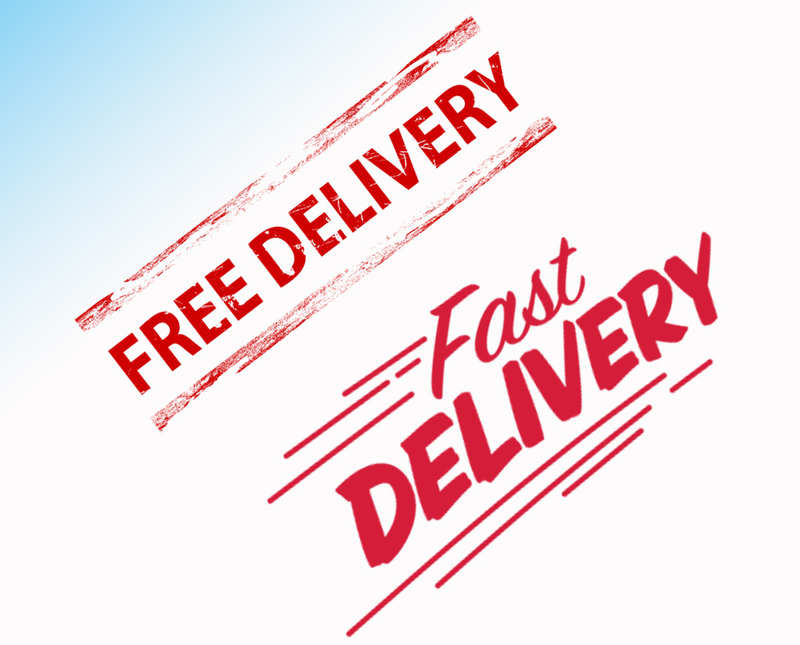 Alternatively, your business may boost by offering free shipping as standard and letting the customer choose for fast delivery at extra charges if they so desire. Depending on your business strategy you may need to experiment and decide what is best for you. however, in all cases, the product must reach the customer within the promised time period.